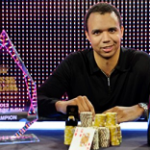 Nolan Dalla interviewing Phil Ivey… never thought I’d be able to say I did too! This “behind the scenes” article has been in the makings for about a month and a half. It was at approximately 11 pm here in Israel on February 4th when I first received an email from Ivey Poker stating that Phil Ivey was interested in reaching out to let people know about Ivey Poker and his new Ivey League training site and so that he could share about the game itself and about being a competitor. Blown away that I was being approached with this type of rare opportunity to engage with the #1 poker player in the world, I immediately picked up the phone and called Ivey Poker’s offices in Las Vegas to verify if it was the real deal. It was, and they said that Phil would be happy to be interviewed for my poker blog. Anyhow, once I settled back down to Earth, it was time to get to work on preparing the questions. Normally, when preparing a written interview with a poker personality, I put together a list of questions and attempt to create a flow that’ll work well for the duration of the piece. I also research previous interviews with the person, to see if any specific questions have already been asked and thus either avoid them or alternatively follow up on them with more specific questions. 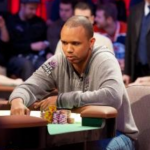 As I’ve already noted, Phil Ivey interviews are incredibly rare. Though he has opened up in the past, for example to WSOP Media Director Nolan Dalla in 2012, and though other glimpses into his life have started to surface in tandem with the rollout of Phil’s Ivey League poker training site, for the most part Phil Ivey, the individual, remains a big mystery to poker fans. Anytime Phil does or says anything public, it’s big news and must-see material. So I set about crafting as many questions as I could, designed to try and get him to open up and connect with the multitudes of recreational poker players and fans out there. I sure feel as though I did my homework on this one! First off, I spent a good few hours trying to dig up any scraps of information I could find online. Then, I spent the better part of the next couple train commutes to and from work and evenings at home (for those who don’t know, my poker blog is still a part-time gig) penning the first draft of the questions themselves. I then reached out directly to a couple very close confidantes of mine and got some input as to what types of questions to include. I also did some indirect crowdsourcing, posing a hypothetical question to a few acquaintances (some of whom don’t know much about poker): “if you could ask Phil Ivey (the #1 poker player in the world) anything you wanted, what would you ask?” The responses I got were interesting and eye opening – namely making that much more of an impression on me as to how insatiably curious poker fans and recreational players are about Phil Ivey. I wrote back to Ivey Poker a few days after our initial correspondence with the final list of questions – about twice as many as I normally prepare. Phil ended up answering all of them, even one last one that I only remembered to include and send a day later. So three cheers for good preparation and thanks to all of you who helped me with their input; you know who you are. Did I Actually Speak with Phil Ivey? At this point, if you haven’t already wondered, you probably want to know why it took over five weeks from initial email to publication of the interview. Well, for starters, while I’ve been super-wired ever since I sent off my questions, I’m pretty sure Phil wasn’t checking his email every few minutes waiting to hear from me 🙂 – he’s certainly had plenty else on his mind. Anyhow, the fact is that I (unfortunately) didn’t actually get to interact with Phil himself. He’s someone who clearly places a high value on his time. That said, if there’s anything specific that I’ve learned about Phil over the last few weeks, it’s not necessarily that he’s “media shy”, but rather that he’s often just ridiculously busy. Either he’s working incredibly hard on his business ventures, his #1 priority these days, or alternatively he’s playing poker, with important occasional breaks to relax and recharge. Anyone would agree that Phil has the right to engage with the poker media as often or as rarely as he pleases. While I may have been on pins and needles waiting for him to reply “any day now”, I will say that, as a fan, it’s been eye-opening to learn just how busy Phil is and the extent to which he works so hard away from the poker tables. 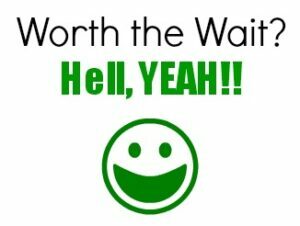 Remember when you sent off those applications to college and were waiting to see if you got accepted? You know those few seconds, after taking the final shot at the buzzer in sports, waiting to see if the player’s shot will go in or not? That’s what it’s been like for me over the past few weeks, waiting for Phil Ivey’s replies. Nervous excitement, on pins and needles, just begins to describe the feeling. 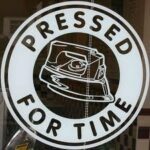 And that feeling lasted day in and day out, for five entire weeks! Oh, and I had a few “poker media scares” to boot! Over the course of these last few weeks, a few new interview segments with Phil have surfaced, namely via the 2+2 Pokercast (audio) and Bluff (video). You can imagine how nervous I was that the other interviewers would ask the same questions I had sent off, thus rendering my extensive preparation redundant. Luckily for me, there was relatively little overlap. It was an incredibly difficult challenge to have kept news of this interview a secret for so long. Aside from my immediate family, I did end up spilling the beans to a few good friends and poker buddies, who had been kind enough to keep it under wraps and share in my elation at the opportunity. Also, I wrote recently about how I Don’t Blog about Poker on Shabbos. As peaceful and restful as shabbos always is to me, specifically these last few shabboses have been a bit tough in that regard, wondering if the replies may have come in while I’m “off the grid”. Thankfully they arrived on a Friday morning, so I was able to publish almost immediately after getting the wonderful emails from Ivey’s team. In 4+ years of poker blogging, I can’t remember ever writing about one of my blog posts. This sort of thing is indeed THAT BIG A DEAL. Many of this poker blog’s longtime readers know I’m an observant Jew. One of Judaism’s basic principles is that of “Hakarat Hatov“, a recognition of gratitude. I didn’t write this post to toot my own horn or anything like that. Aside from wanting to give you readers a behind-the-scenes look at what was involved in the Phil Ivey interview process, I really am just SO thankful to have had the experience and felt it necessary to voice those feelings of thanks publicly. 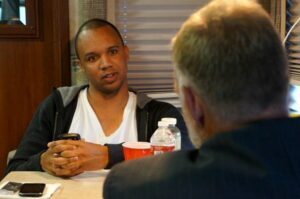 As much time, effort, and passion as I pour into Cardplayer Lifestyle, and as high hopes as I have to keep reaching for those brass rings, I can say with 100% certainty that I never believed I’d get to publish a Phil Ivey interview. It has been a career highlight for me and, once again, I’d like to acknowledge and thank Phil for giving me the opportunity, as well as Team Ivey for everything they’ve done to facilitate the interview. That’s great to hear Robbie, you deserved the interview. Congratulations! That’s very kind of you to say Frank, thank you – I appreciate your words and sentiments very much. Nice to see you are so stoked on this.Even with his 2+2 Cast interview and yours, a Phil Ivey i/view is as rare as a rare rarity, so congrats on scoring the thing, and job well done. It’s all downhill from here,the proverbial ‘slippery slope’ so perhaps to get you on a steady incline, pull off a Tom Dwan i/view from his Asian dungeon….Oh that’s right, hes back in New York attending his ailing dad. 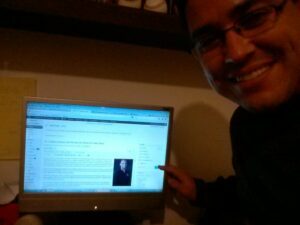 Hey Craig – thanks so much for reaching out with the comment and the kind words; it’s much appreciated. LOL re: downhill from here, I dunno about that, but I do consider myself to be incredibly fortunate to have had this very rare opportunity. Will keep on trying to position myself for more special opportunities in the future and hopefully, when they come up, I’ll be in the right place at the right time once more :-).